How much is John Williams Worth? John Williams net worth and salary per movie: John Williams is a prolific music conductor who has a net worth of $300 million. John Williams' impressive net worth is derived from a career that has spanned 60 years as a composer, conductor and pianist. 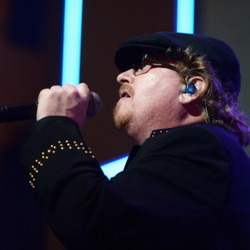 Williams has composed music for high profile movies, including Indiana Jones, E.T., Jaws, Superman, Star Wars, Home Alone, Jurassic Park and the first three of the Harry Potter movies. He is also noted for composing music for NBC news productions, The Nightly News and Sunday Night Football and has composed music for cult TV series, Lost in Space and Land of the Giants. Away from making music for big TV and film productions, Williams has conducted untold amount of classical concerts in his career and was the principal conductor of the Boston Pops Orchestra for 13 years. He is now the orchestra's conductor laureate. Throughout his remarkable career, Williams has received five Academy Awards, four Golden Globe Awards, 23 Grammys… out of hundreds of nominations. To date, this makes Williams the second most nominated person after Walt Disney. 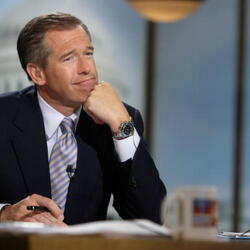 Williams was born in Floral Park, New York. His family moved to Los Angeles when he was 16. 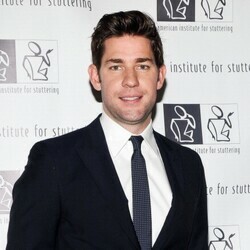 John attended North Hollywood High School and then the UCLA (after spending one semester at Los Angeles City College). Along the way, he studied with Italian composer Mario Castelnuovo-Tedesco. He was drafted into the Air Force in 1952 where he would play several instruments in the U.S. Air Force Band. After his time in the military was up, he moved to New York where he studied music at Juilliard and the Eastman School of Music. He eventually moved back to Los Angeles to pursue a career as a session musician. He slowly climbed up the ranks and was eventually composing music for TV shows like M Squad, Gilligan's Island and Lost in Space. His first feature film composition was the 1958 movie Daddy-O. He quickly gained attention in Hollywood for his unique versatility in jazz, piano and symphonic music. He won his first Academy Award for the 1971 movie Fiddler on the Roof. His first prominence came after composing for blockbusters The Poseidon Adventure and The Towering Inferno. He worked with Steven Spielberg for the first on 1974's The Sugarland Express. They worked together again a year later on Jaws and again on Close Encounters of the Third Kind. Around this same time, John befriended George Lucas who was working on his 1977 space epic Star Wars. 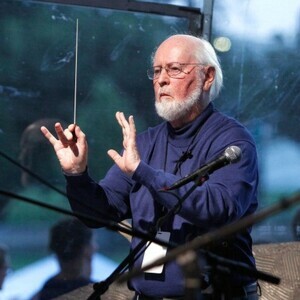 The music that Williams eventually composed for Star Wars, including "Luke's Theme", "Force Theme" and "Princess Leia's Theme" are among the most widely recognized movie songs of all time. The Star Wars score is the most successful "non-popular" musical recording of all time. In 1980, John Williams recorded "The Imperial March" as the theme for The Empire Strikes Back, in addition to several new popular songs. George Lucas has stated that the secret sauce of Star Wars is the music of John Williams. Over the next several decades, John Williams would continue to produce beloved classic music for movies ranging from Indiana Jones, to Catch Me If You Can, to Lincoln. He was married to Barbara Ruick from 1956 to her death in 1974. Together they had three children including Joseph Stanley Williams, the lead singer of Toto. John married photographer Samantha Winslow in 1980.